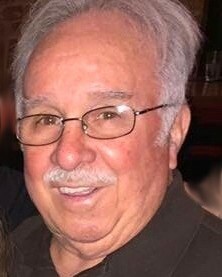 John Joseph “Bickey” Coyle Sr. went to the Lord in the presence of his loving family on October 24, 2018, at the age of 74. Beloved husband of Debbie Bianchini Coyle. Loving father of John Coyle Jr., Eric Coyle (Gia), Brandon Coyle (Michelle) and Chris Coyle (Jessica). Loving “Pops” to Tatum, Saylor, Scotland, Madison, Charles, John, Giulianna and expectant baby Coyle. Brother of Catherine, Tyrone, the late Cornelius “Neice” and C. J. Also survived by his beloved puppy Dallas. He was predeceased by his parents, Vivian Young Coyle and Cornelius F. Coyle. John was proud to be born and raised in the Irish Channel and “never left at heart”. He will be greatly missed by all who knew and loved him. Relatives and friends of the family are invited to attend the Funeral Mass at Greenwood Funeral Home Chapel, 5200 Canal Blvd, New Orleans, LA. on Saturday, October 27, 2018 at 11:00 AM. Interment will follow in Greenwood Cemetery. Visitation will begin at 9:00 AM.